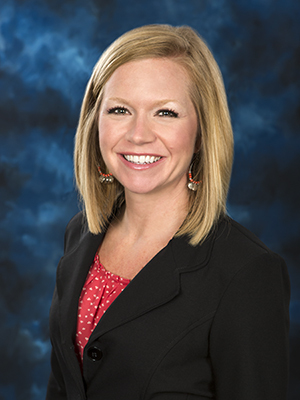 Kylie Frieze, MSN, RN, RNC-OB is a nursing instructor in the Associates of Science in Nursing Program. She graduated in 2004 with her ASN from San Diego City College in San Diego, CA. Afterward Kylie moved home to Springfield and began working as an RN in Labor and Delivery at Cox South Hospital where she worked until 2017. In 2009, Kylie became certified in Inpatient Obstetrics and went on to complete her BSN at Missouri State University in 2013. In 2015, Kylie began working part-time as a clinical adjunct for OTC and then completed her MSN at Southwest Baptist University in 2017. At this time she left the bedside and accepted a full time teaching position at OTC. Kylie specializes in maternal newborn nursing. She has devoted her career to caring for mothers and infants. She served on a hospital wide Postpartum Depression Committee that improved policies and procedures for caring with this patient population.